1991 beginnt die Geschichte der Barband Doctor Love Power mit Auftritten im Hamburger Live-Club “LOGO”. 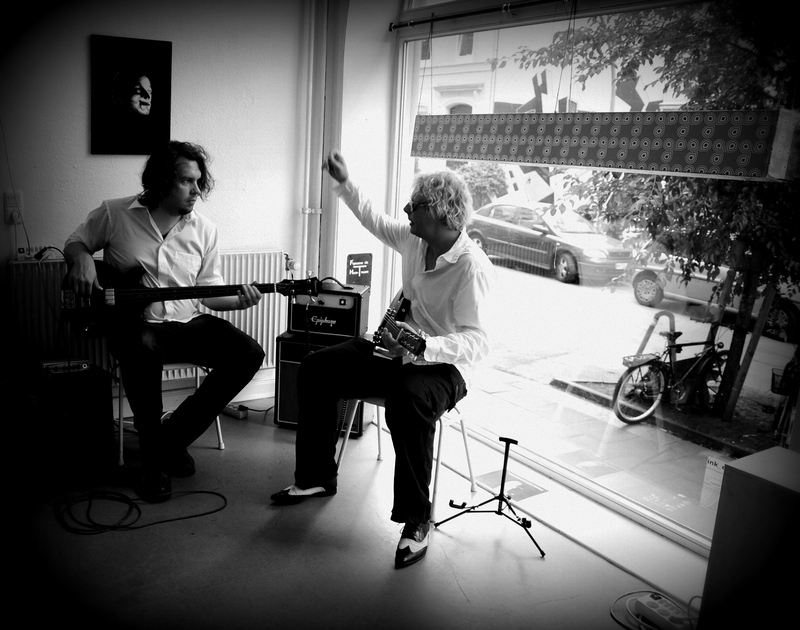 André Soick am Bass und Mick Rüger am Schlagzeug sowie Mark “Doc” Bloemeke an Gitarre und Gesang nehmen jeden Gig mit den sie kriegen können, ob Scheunenparties, bei denen die Gage aus mitgebrachten Whiskeyflaschen bestand oder im legendären Käpt’n Brass: “Spiel mal den Song, kannst Dir auch n Mädel aussuchen.” Zahllose Musiker durchlaufen dann ab 1996 die Band, doch das musikalische Konzept bleibt, wie der “Doc”. Eine langjährige Besetzung sind dann die Cheap Male Prositutes, die sich 2009 zusammenraufen und eine erste CD einspielen: “On Our Way To Odessa” erscheint beim Hamburger Moon Sound Label, wo gerade auch Jessy Martens ihre erste CD veröffentlicht und Urgestein Abi Wallenstein seine Aufnahmen herausbringt. Doch Doctor Love Power And The Cheap Male Prostitutes zerstreuen sich in alle Himmelsrichtungen, Dubai, Berlin und ein Sabbatjahr verhindern, dass die Band sich einem größeren Publikum präsentiert. 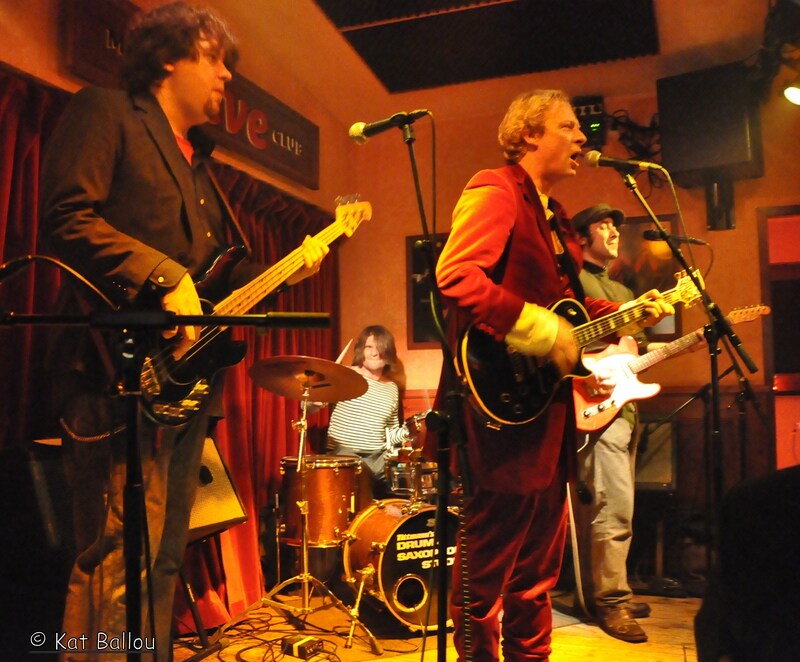 In 2013 spielt das Powertrio mehr Gigs denn je und mit Levin Dunkerbeck am Schlagzeug und David Hinze am Bass ist aus Rumpel’n’Rausch nahezu makelloser Blues’n’Roll geworden. Eigene Stücke vom “Doc” wie “Voodoo’s Creek” oder “Amy” reißen das Publikum ebenso mit wie die zahlreihen Klassiker von Creedence Clearwater Revival, Van Morrison, Bo Diddley, Willie Dixon etc. im Programm. 2019 startet die Band erneut durch. Aus 4 Menschen sind Freunde geworden – das merkt man, bei jedem Auftritt! Mark “Doc” Bloemeke ist natürlich immer noch dabei! 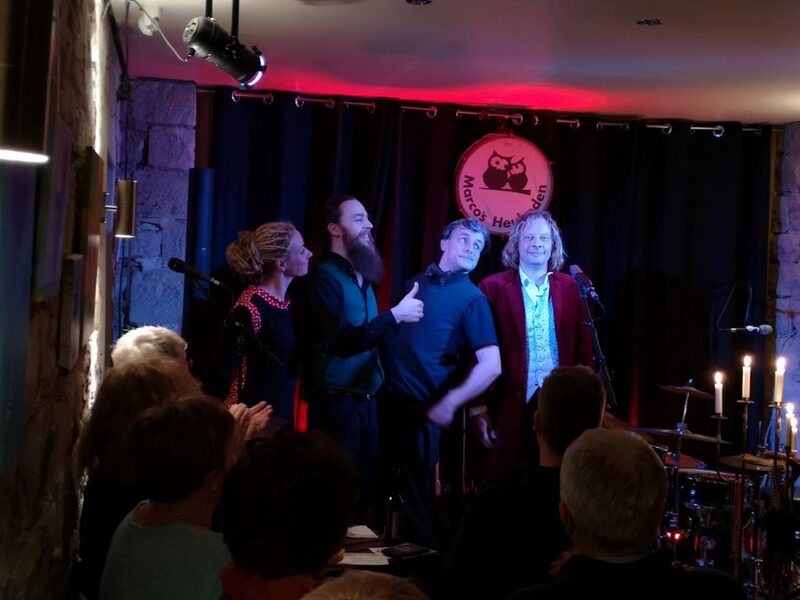 Kat Balou singt mit, am Bass Sascha Bunz und am Schlagzeug Andy Plath. 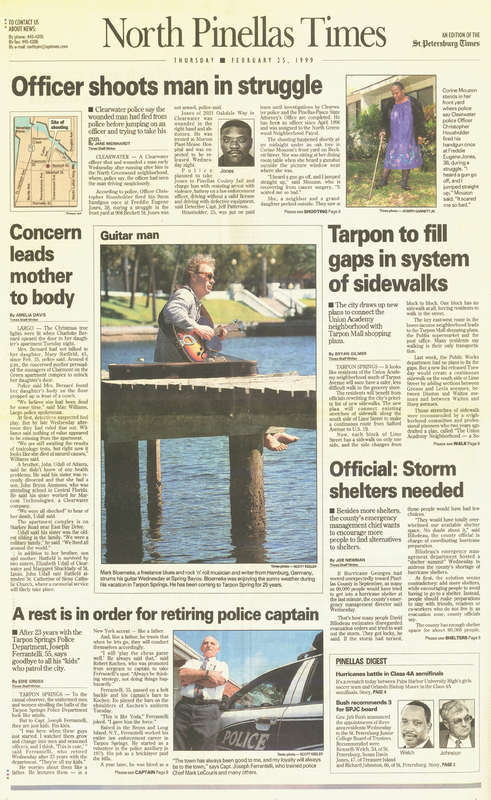 Doctor Love Power was seen on the front page of the Pinella’s Times as the guitar man. At the same time he would travel to New Orleans and stay there in a bar on Decatur street, unable to leave, because of the food and drinks and jukebox. He would play every night for the people in this late night joint, just to pay for the backroom he had rented in that same bar. 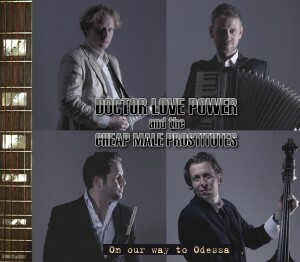 After innumerable changes in the band and quite some years later Doctor Love Power recorded a CD “On Our Way To Odessa” with the Cheap Male Prostitutes, just before the band once again dissolved. It was published in 2009 by “Moon Sound Records” and the critics were enthusiastic. “On Our Way To Odessa” even got some airplay around the world, but there was no band to support it with live gigs anymore. Doctor Love Power gave it a try with one of the greatest setups so far: A part of the band The Gearshifters including Ray Scheepstra, BigMcKay and Captain C would support the Doctor for a year. But musical ideas did not fit too well, so the new formation split after a few gigs. 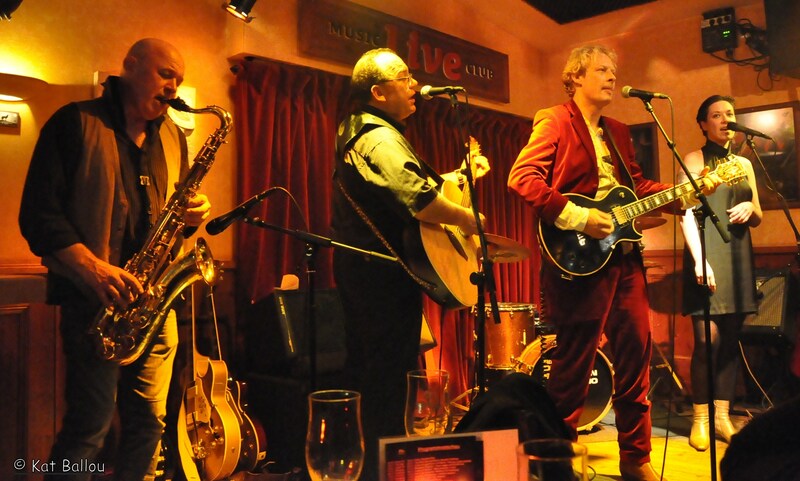 Another year with still another Setup: Doctor Love Power was supported by a great band called The Westend-Turbo-Trio with David Hinze on bass, Ron Vorpahl on drums and Alexei Perel on guitar and vocals. 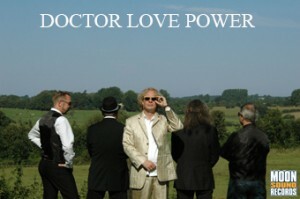 Still some changes had to be made: Now Doctor Love Power was back for quite a few shows in 2012. 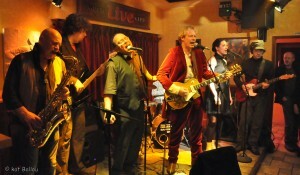 Some of them featured Alex Perel on additional guitar and backing vocals. 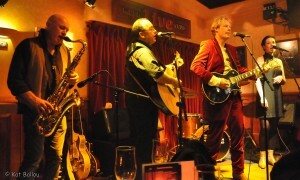 The band then was a trio with David Hinze on bass and Mick Rüger, Doctor Love Power’s first drummer ever. Crazy Cowboy Christmas 2010 at the music club live in Hamburg. 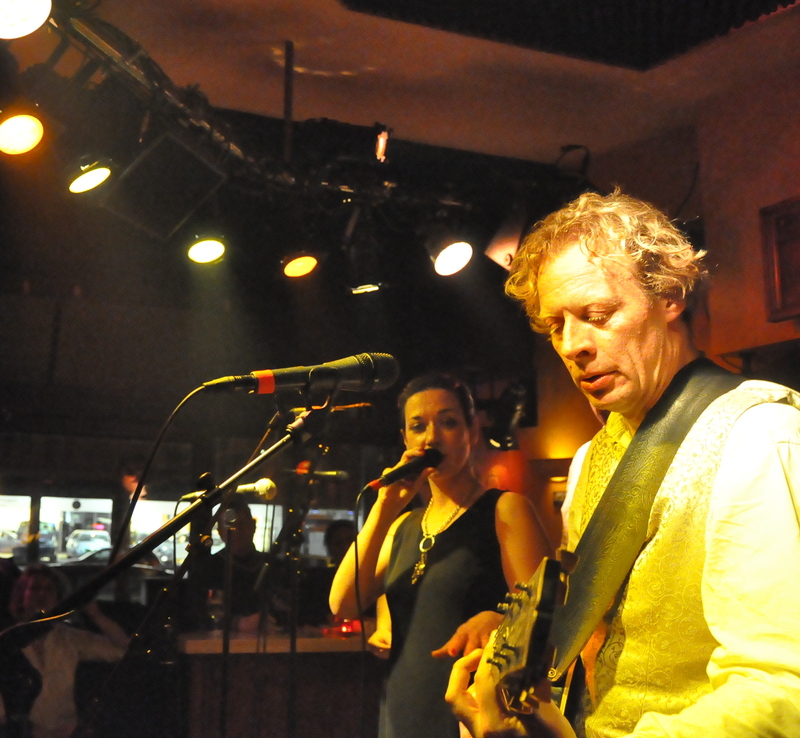 A lot of friends like Claas Vogt (Eight To The Bar), Kurt Buschmann (Saxophon) and Kat Ballou helped out. As support the band Crapshoot worked very well.